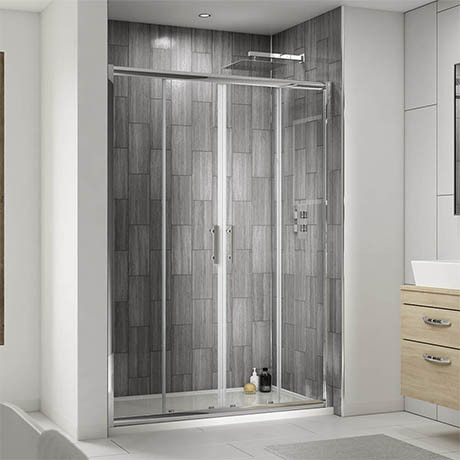 The double sliding door creates a light, spacious and practical showering option, and the smooth sliding doors allow plenty of access for even the busiest of homes. The Door is available in a range of sizes, the variant is the width, height & depth stay the same. Manufactured from 6mm glass with a polished chrome frame. Hi, this depends on the size, but the 1400mm products is boxed weight of 43kg and the largest 1700mm is 53kg so the other two sizes will be in between these parameters. I hope this helps, thank you.